‘Jawdroppers‘ are those comments that women sometimes face in the workplace. They are usually offensive and totally inappropriate in the workplace or learning environment. The reaction of the person on the receiving end is often one of stunned shock at the audacity and rudeness of the offender. The typical reaction is a dropped jaw and stunned silence. 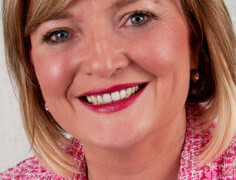 This is not the best way to go however as Margaret Considine of Equita Consulting in Dublin outlines in this interview. If you are experiencing bullying or sexual harassment, or have a friend who is experiencing it, do have a listen to this podcast for some sound practical advice on how to cope with and combat this kind of behaviour which you should not have to tolerate in the workplace, or anywhere. Every company must have a Dignity at Work policy and they must implement it.